Dr. Rizwan Amin Sheikh is a Professor of Practice (Leadership & Project Management) and Director MBA Program at KSBL. He is a visiting faculty at the University of Sharjah (UAE) and Royal Melbourne Institute of Technology (RMIT, Australia). Dr. Sheikh holds a PhD in Strategy, Program, and Project Management from SKEMA Business School (France), MBA from Cleveland State University (USA), and B.Sc. from the Ohio State University (USA). He is a certified Project Management Professional (PMP) from PMI (USA). Dr. Sheikh is also a visiting faculty at Etisalat Academy, UAE. He is President of Project Management Institute (USA) Lahore Chapter. Dr. Sheikh also served as an Assistant Professor and Director of the MBA Program at Lahore University of Management Sciences (LUMS). 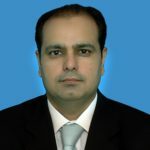 He is the former Chairman and CEO of Punjab Information Technology Board (PITB), Government of Punjab. Dr. Sheikh is a former Senior Manager of Deloitte Consulting (USA). He has over 22 years of management consulting (Deloitte Consulting, USA), strategy formulation, international program/project management, teaching, and business transformation experience in the public as well as private sector. Dr. Sheikh has led several business transformations, global projects, and change management initiatives in various countries including the United States, Canada, Mexico, UAE, Denmark, Finland, Germany, and Pakistan. His research interests focus on national culture, leadership, and project management. Dr. Sheikh has published case studies and presented papers at international peer-reviewed conferences. He is a well sought-out public speaker and has been given awards like “Innovative Vision & Dynamic Leadership” by Fortune 500 companies including Microsoft and Intel.